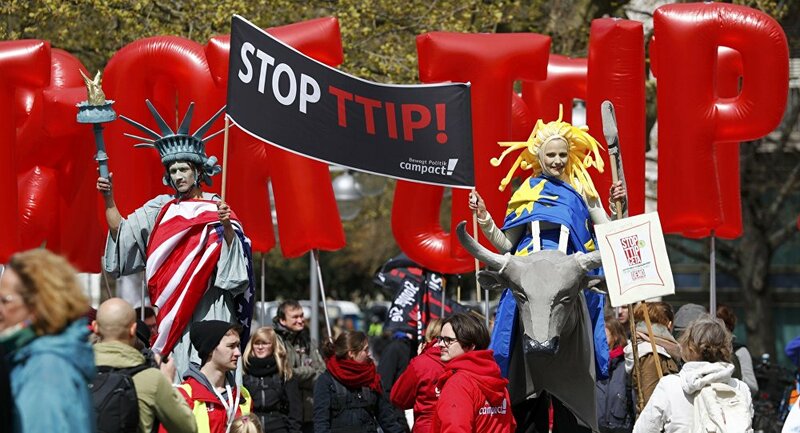 The European Union remains in disagreement with the United States on tariffs, services and procurement in the draft text of the controversial Transatlantic Trade and Investment Partnership (TTIP), the chief negotiators said after the 14th round of talks Friday. 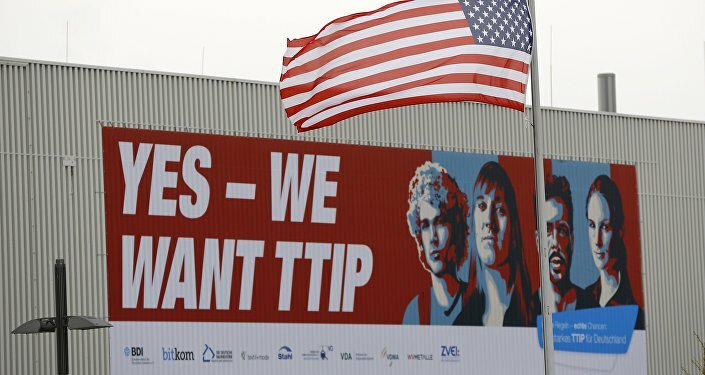 MOSCOW (Sputnik) – US negotiator Dan Mullaney said the sides agreed to eliminate duties on 97 percent of approximately 8,000 tariff lines, leaving up to 300 tariff lines the toughest to negotiate. The sides continued to wrangle over the 3 percent in recent rounds of negotiations. "On market access, the European Union aims at the compatible level of ambition on tariffs, services and public procurement. We are not there yet. On tariffs, we have exchanged offers twice, which led to a very advanced stage of negotiations," EU's Ignacio Garcia Bercero told reporters in Brussels. "To complete this work, much remains to be done this year, and, as in any, negotiations the most difficult issues are usually the last to be resolved," he stressed.